The Shenandoah Apple Blossom Parade will be Sat, May 4 @ 1:30pm. Please post up if you are interested in participating. We are signed up and will be participating in the Pre-parade with all the other vehicle clubs. We will most likely assemble at the Jones Funeral Home on Pleasant Valley Rd. This is the same spot we've gathered in the past. I think we should start meeting up at 10:30am. I know this sounds early but the later it gets the worse the traffic is going to be. Bring a snack and some drinks since we will be sitting around for a bit. We need to have all participants together by 12:00pm at the latest. The pre-parade will start at about 1pm. We do not dress up our Jeeps like we do in the Christmas parade. But if you want to you can put some Apple Blossom colors on (light pink and green). 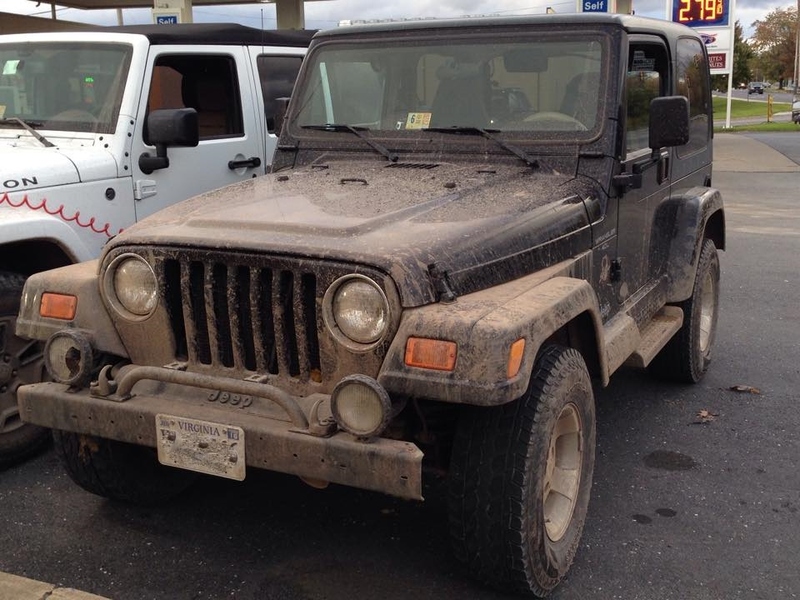 We are required to show drivers license & proof of insurance for each individual Jeep owner. So if you plan to attend, plan on getting copies of these 2 items made and send them to me by email at membership@novajeepers.com. Please put Apple Blossom Parade in the subject line so it doesn't get overlooked. Also, put your username in the email so I know who you are. This is the easiest way for me to get everyone's info. Sorry, NO pets allowed. Sorry for any inconvenience, their rules not mine. There is no limit to how many Jeeps we have in this parade, so the more the merrier! I'm in. We will bring the Jeepster or the JK or both. Depends on the status of the Jeepster when it comes time. I will get you the info for both tomorrow. Thanks Robyn. Frank Welch and Angela C want to participate as well. They have been communicating with me via text. I will let them know to come check out the thread now. I emailed my information for participation in the parade. I've been watching for ths post, and pestered Dain about what was happening! I'm sure participation will be hindered with a 3 day notice of the event. Can non members go? I have a couple friends with new jeeps. I feel only members can participate, however I'm sure the Club would "Welcome" new members, plus many other events will be of their interest this year. Normally, it is a members event at first, then gets opened up to non members if we don’t get enough participants. In this case, I would welcome non members and use it as a way to encourage them to join up as members. If you want to participate, don't forget to email a copy of your license and insurance policy today please! The club is registered to participate and we can still add additional folks. If you want to join us, just email me a copy of your license and proof of insurance. I am in, but will not be bale to email my stuff until tonight. Cool, not a problem...just need it by the end of the month.